Story of the Week: Making It! 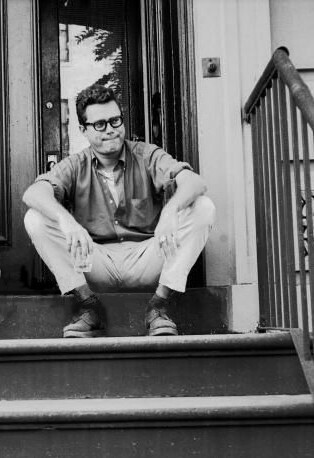 Before Jack Kerouac’s On the Road appeared in 1957, Seymour Krim had been churning out the occasional essay or book review for such literary journals as the Hudson Review; he later complained that these assignments “made a cramped miniature of my spirit, chorus-lined my self-respect, tidied up my originality, emasculated my real iconoclasm.” But reading Kerouac changed him: immediately he began writing more experimental Beat-influenced pieces for The Village Voice, in 1960 he edited the anthology The Beats, and the following year he published Views of a Nearsighted Cannoneer, a collection of his “New Journalism” essays. The bipolar tendencies in Krim’s writing are on stark display in “Making It!” Cultural critic Mark Cohen writes that in this essay Krim “is in top form as his wise-guy alter ego belittles the high-minded artist.” The piece is “not a short story, not traditional reportage. Instead it is a guided tour of Krim’s book-stuffed mind as he debates his contradictory desires for nobility and the big money,” and it captures “the birth of celebrity culture in the art-tinged and money-mad world of post-war New York.” For Cohen, “Making It!” was a revelation—his first exposure to this nearly forgotten, off-Beat writer—and it motivated him a few years ago to try singlehandedly to launch a Krim revival. “Making It!” first appeared in the September 9, 1959, issue of The Village Voice; the version below, from the recently published anthology The Cool School: Writing from America’s Hip Underground, reprints the text from Views of a Nearsighted Cannoneer. 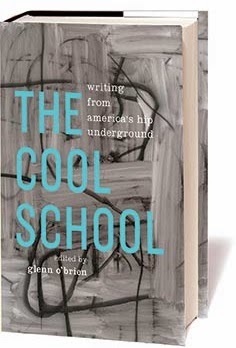 It includes a short headnote by the late Glenn O’Brien (1947–2017), who edited The Cool School. Notes: Krim scatters cultural references, highbrow and low, throughout “Making It!” and part of his narrator’s shtick is a self-mocking, name-dropping banter. Many allusions should still be familiar to readers; among the more obscure or provincial mentions are Hollywood gossip columnist Sidney Skolsky, the liquor company Schenley, the New York City talk radio host Long John Nebel, screenwriter William Rose, and Manhattan real estate developer William Zeckendorf. When has an inside phrase like “making it” or so-and-so’s “got it made” shot with such reality through the museum of official English?. . . . If you don't see the full selection below, click here (PDF) or click here (Google Docs) to read it—free! Seymour Krim was not only the entertaining brash essayist. He also wrote fiction early on -- I remember reading a super-sensitive story of his in a New Directions annual in the early fifties. this revealed his inner torment that caused him to flip out occasionally, but made him such a rewarding person to know.